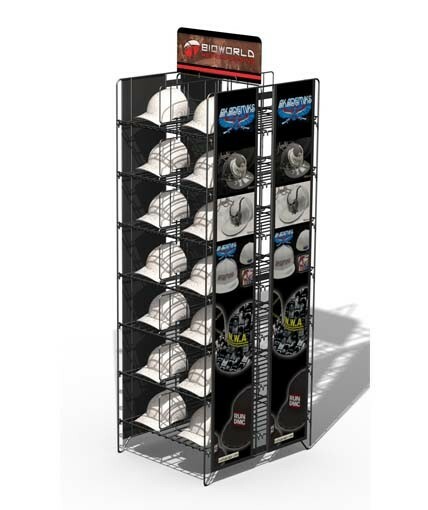 This large cap display was rolled out nationwide to KMart stores for a new hat and cap program. 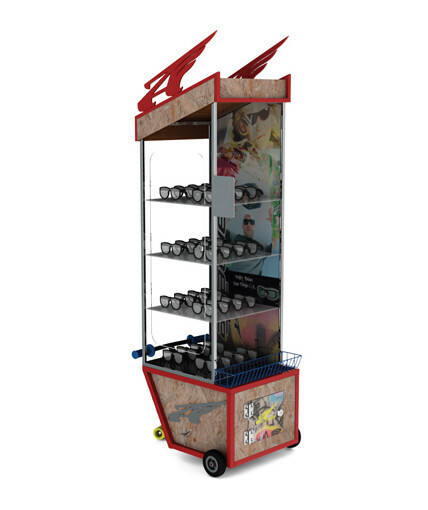 This version is 60″ wide and serves as a stylish replacement for a standard gondola. 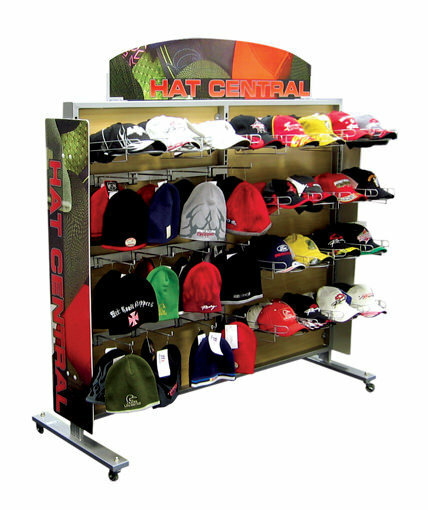 Large format digital graphics announce “cap central” to shoppers. 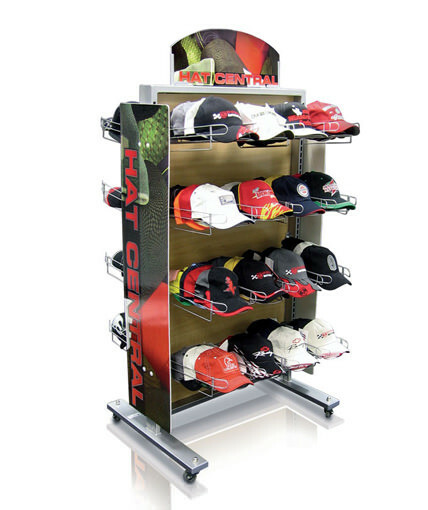 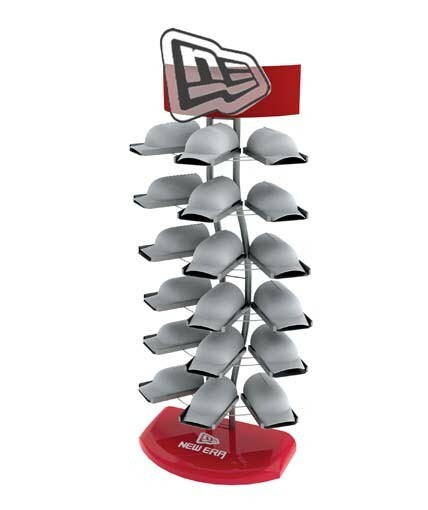 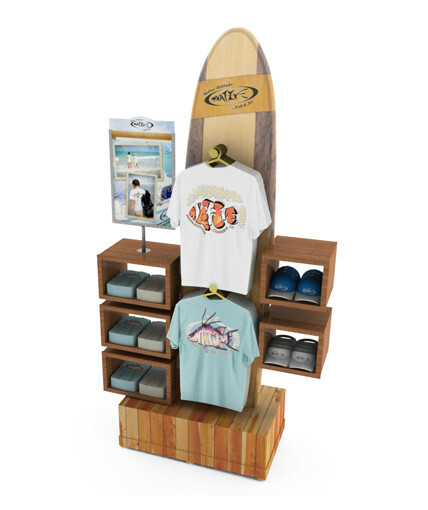 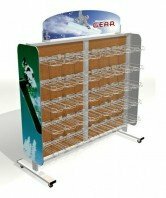 This display features adjustable shelves for caps and hats, as well as adjustable snap-hooks for apparel items. 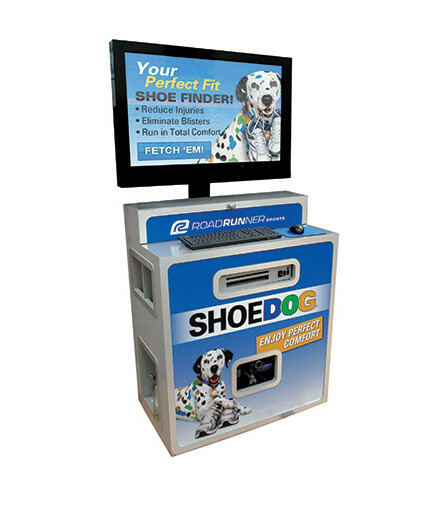 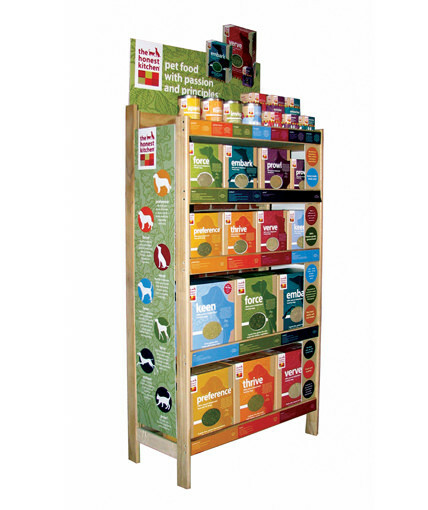 The display is constructed of a heavy-duty steel frame and MDF inserts. 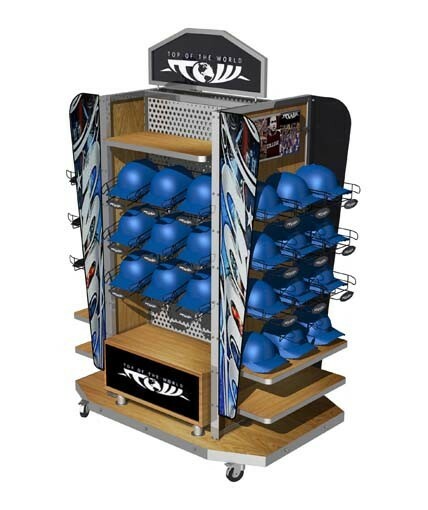 The whole display is on heavy-duty casters so it can easily be moved around the store. Category: Uncategorized Tags: cap display, Custom POP Displays, Custom Retail Displays, Hat Display, point of purchase display Brand: Kmart.